« WHY I AM NO LONGER A CHRISTIAN………. Christianity today reported in 2009….1 million Christians leave the building that some of the church meets in on Sunday mornings EVERY YEAR……1,500 pastors leave the building that some of the church meets in on Sunday mornings EVERY MONTH....12 million people worldwide. They left the building NOT THE CHURCH.… Do the math and find out why they are leaving. First of all they are leaving because of an IDENTITY CRISES, most of the Christians today believe the BUILDING IS THE CHURCH. Listen to what they say, where do you go to Church? If we are the Church then we can not go to what we already are, we don’t go to Church….we are the Church. This is my Church....or they point to the building on the corner with a cross on top and say that is my Church. Again that building is not the Church and it certainly is NOT YOUR CHURCH…..WE ARE THE CHURCH AND ITS JESUS CHURCH. The point is when my identity changes from GOING TO CHURCH…..TO BEING THE CHURCH there is an amazing transformation and I realize that BEING THE CHURCH IS A 24/7 THING, NOT SOMETHING I GO TO FOR A FEW HOURS AND THEN LEAVE AND I AM SOMETHING ELSE THE REST OF THE WEEK. For many of us it just boiled down to TO MUCH OF NOT ENOUGH. The Sunday morning service I found out is not even scriptural and when you find out where it came from and how we got to this point you will be amazed, read Pagan Christianity by Frank Viola and George Barna for the complete story and history of this. As a result of this institutional service, at some point in time as a believer grows they will have to have more than this 1-2 hr tid bit can provide. It also is lacking in a family affair and believers must have that family closeness. As I traveled the world in mission work what I heard the most from believers everywhere, was they did not feel that anyone really cared about them and their struggles on a real level. Going to the building on Sunday morning has become a SPECTATOR SPORT, with no opportunity for body ministry, so with no involvement other than singing a few songs and of course giving your money to keep the building model going, there is nothing else to do. But to do that the message must be more and more watered down so the people will stay, just tell nice story’s and tell people how wonderful they are, and how GOD WANTS THEM TO JUST HAVE THEIR …BEST…LIFE NOW. Amazing Jesus had 12 disciples and yet today they have thousands in their buildings but not much fruit. THEY ACCOMPLISHED SO MUCH WITH SO LITTLE, TODAY WE ACCOMPLISH SO LITTLE WITH SO MUCH. Because of these things people get bored, and tired of false doctrine, and not being made disciples, Jesus said to make disciples not entertain people, the Sunday morning service is not set up to make disciples. 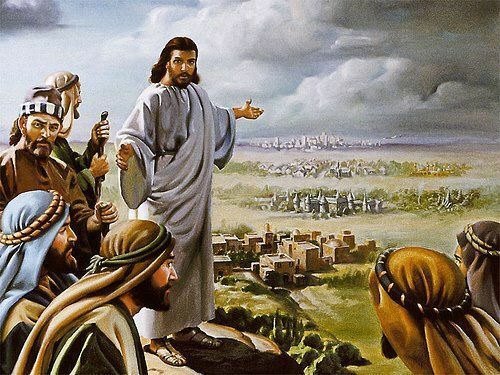 Jesus taught his disciples, but there came a time WHEN HE SENT THEM OUT TO DO WHAT THEY HAD BEEN TAUGHT AND SHOWN. TO THE BROKEN HEARTED, AND BRING DELIVERANCE TO THE CAPTIVES. IF ONLY 1% GOT SAVED, OR HEALED, OR DELIVERED, THAT’S 3,000 PEOPLE AND THE ONES WHOSE LIVES WOULD BE CHANGED THE MOST…..IS THE CHURCH THAT LEFT THE BUILDING. 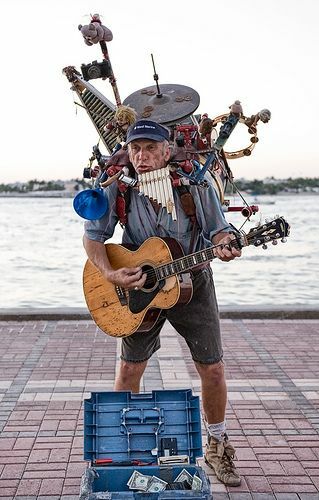 The 1 man band is another reason people leave the building, and as entertaining as the 1 man band is……it only last so long and then people move on. God never designed that the Church (you and I) would only have one input, NO THIS IS A BODY AND HAS MANY PARTS AND EACH MUST DO HIS OR HER PART FOR THE WHOLE BODY TO FUNCTION. Well there are many reasons the Church is leaving the building and looking for the real expression of the Church on earth and we will find it in time as the Church that Jesus is building is people…..not a Mormon temple. and remember its not important how long you live…..BUT HOW YOU LIVE.